This book provides a unique insight into one of the most important days in World history, the World's greatest ever seaborne invasion - June 6th 1944 - D-Day. Drawing upon four decades of research and two decades of working the battlefields as the region's foremost guides, the authors use a compelling combination of background narrative and first-hand accounts provided exclusively to them by many veterans. This comprehensively illustrated book serves as an essential accompaniment to any visit to the region, includes directions of how to find the important sites, what to see during a visit to the battlefields, and how to discover the lesser known areas only familiar to those with an intimate knowledge of the area. To be used as a history book or as a guidebook for visitors to the battlefield, 'Following in the Footsteps of Heroes' will touch every reader and provide to those who previously knew nothing of the subject or those who have previously studied it in depth, a new perspective into one of the greatest military feats ever achieved. Historical reference and essential guidebook. Comprehensively illustrated with over 240 photographs and maps. Written and researched by the regions foremost battlefield guides. 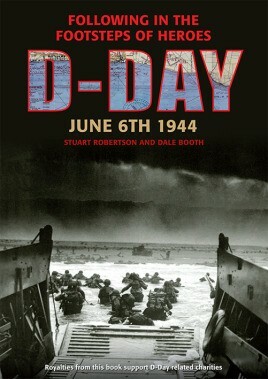 Includes exclusive first-hand accounts by D-Day veterans. All author royalties donated to two charities which help maintain Normandy battlefield sites.